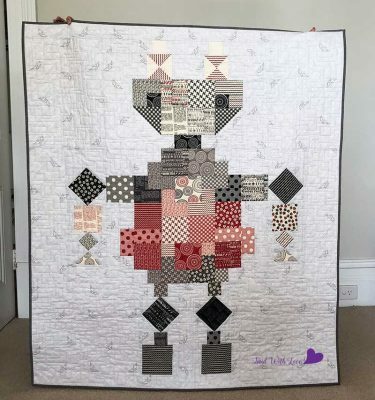 Welcome to the Sew Along! Today we are doing the FUN stuff 🙂 PLAYING WITH FABRIC!! Yes, I could pat, fondle and drool over fabric pretty much every minute of every day… but that is just me! 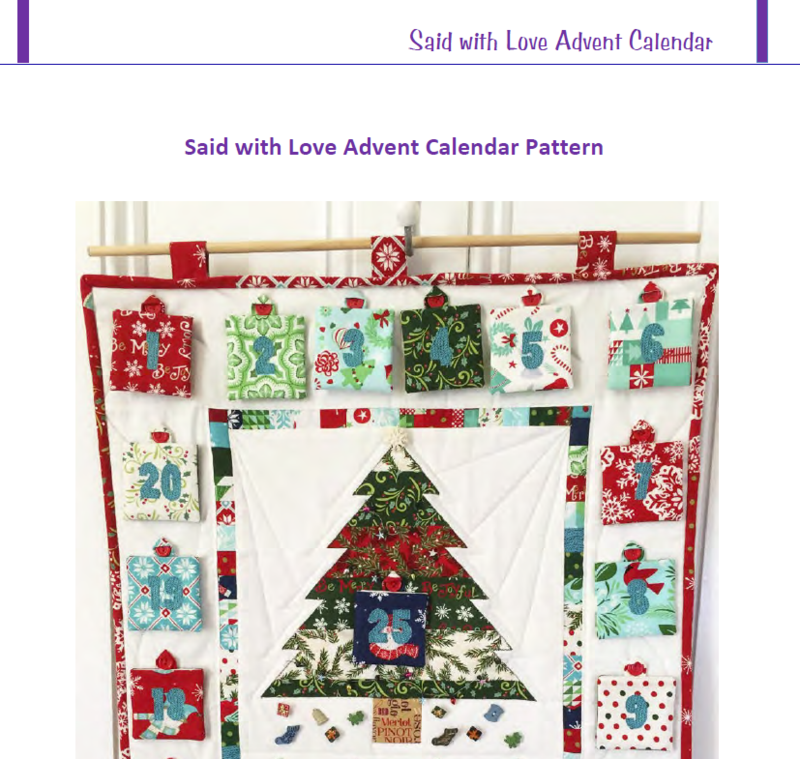 The Advent Calendar will look pretty great no matter what type of fabric you want to choose. 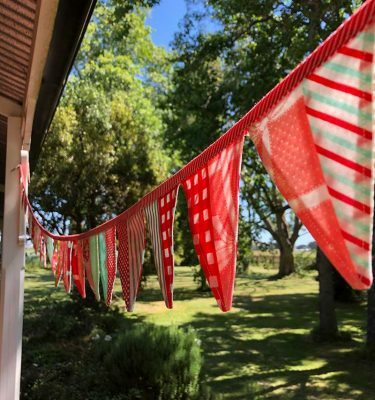 I have made it up using traditional dark red and dark green Xmas fabrics in the past and it looked wonderful, however this year I have been going for lighter and brighter. 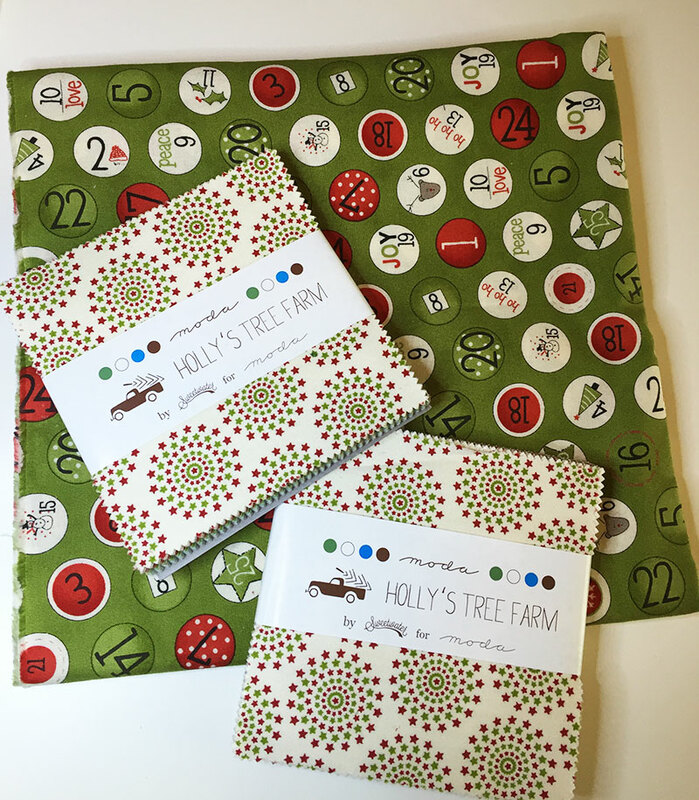 I am going to do this sew along with Holly’s Tree Farm as I just love Sweetwater Fabrics. 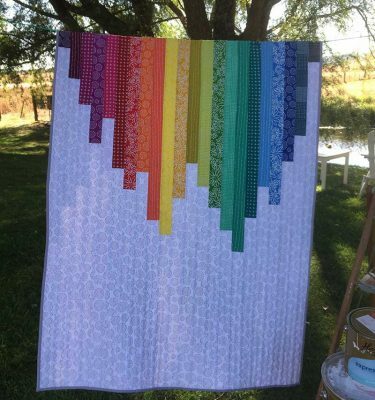 I am also tossing up making a second one in Hello Darling by Bonnie and Camille for something totally bright and cheerful! Making two as you go does take longer, but funnily enough, not double the time! So what fabrics are you going to choose? This first week of the sew along we are going to select our fabrics and then cut out all the fabric required. 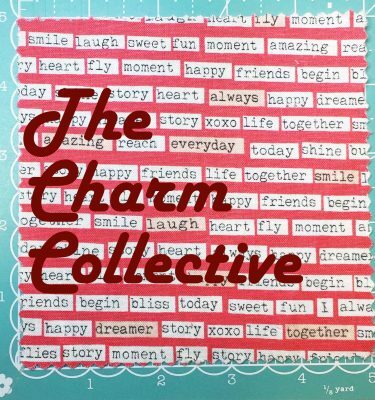 Decide which of your 50 charm squares are going to be the front pockets and which will be on the back. I have paired up all my fabric ready to cut. I have found selecting the fabric for the numbers for each pocket is probably the most difficult part of the fabric selection. In the calendar I made for @isabellagolightly26 on IG I managed to find one colour that co-ordinated and stood out on all of the fabrics. If you cannot find a colour that co-ordinates with all of the fabrics you have chosen for your pocket fronts – you can always change the number fabric for different pockets! A little more fiddling, but could look fun! 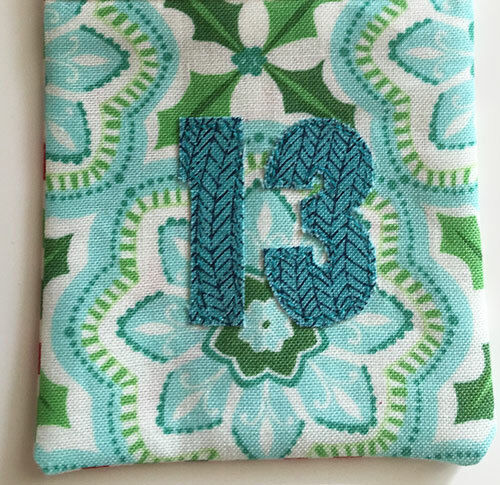 This is what @mara_makes did for her pocket numbers (see the red and white numbers?). Click on the image below to go and see more of her Advent Calendar. 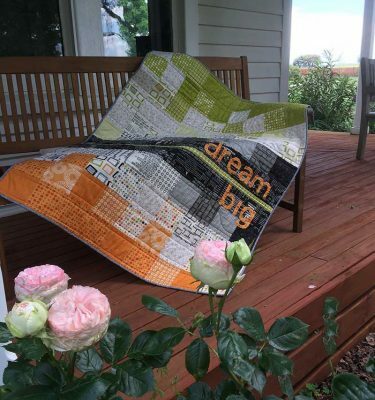 Another option is to find a fabric that actually has numbers printed in it…. this way you don’t have to cut out each of the numbers, but cut out a square or a circle…. 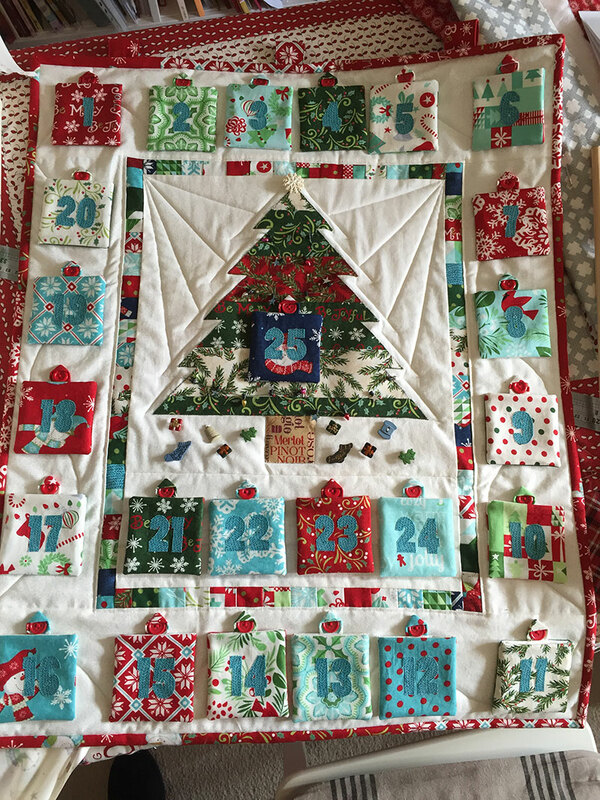 I am going to do this using numbers from the Sweetwater fabric ‘Countdown to Christmas’ line that I had tucked away in my stash. And don’t forget to think about what binding you want to use and what backing. 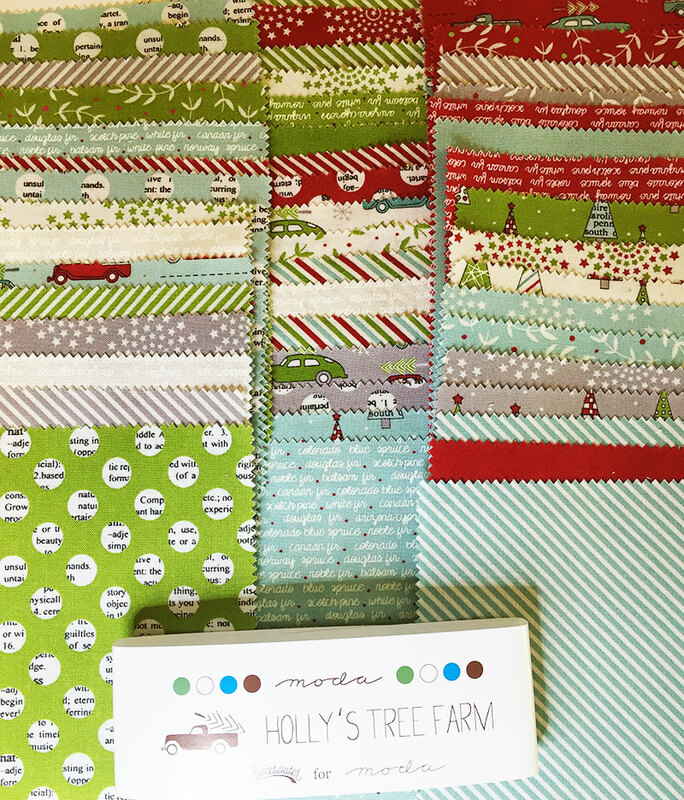 These are my options for my Holly’s Tree Farm calendar. I will make the final decision once I have it put together. So go ahead and start cutting. Cut out all your pockets, pocket hangers and the fabric for the inner borders etc. 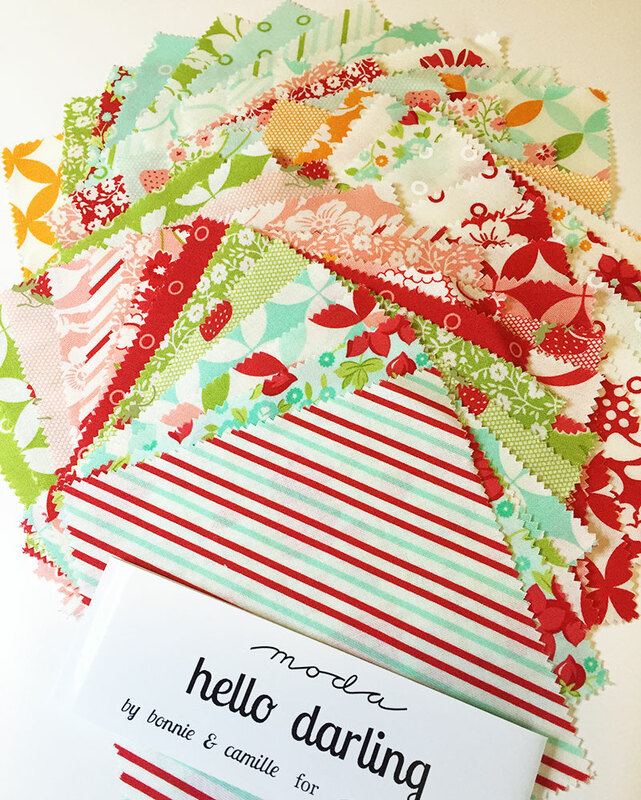 I love this bit … slowly getting a neat pile of gorgeous fabric ready for sewing! 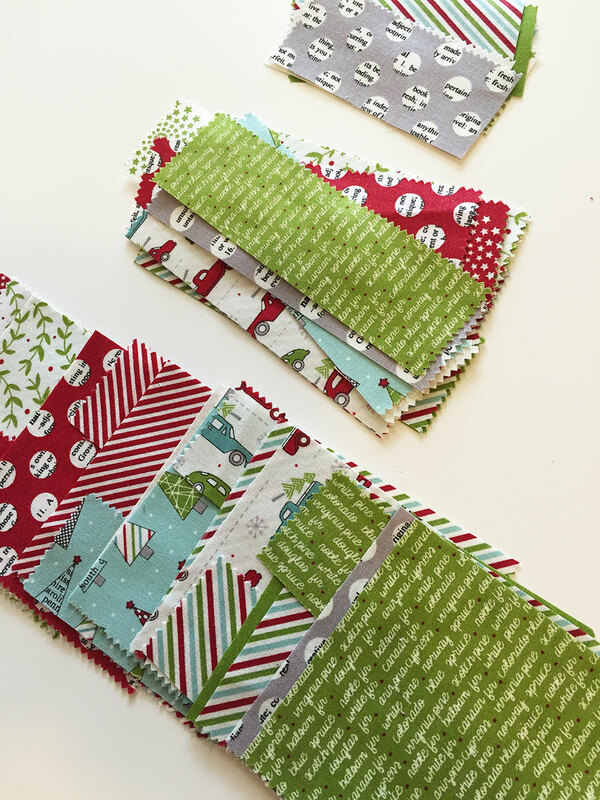 NOTE: The pieces you cut from the charm square for the front of your pocket number 25 – put these two aside… don’t add them to your inner border sewing pile. We are going to do something a little different with these when we get to the inner borders! 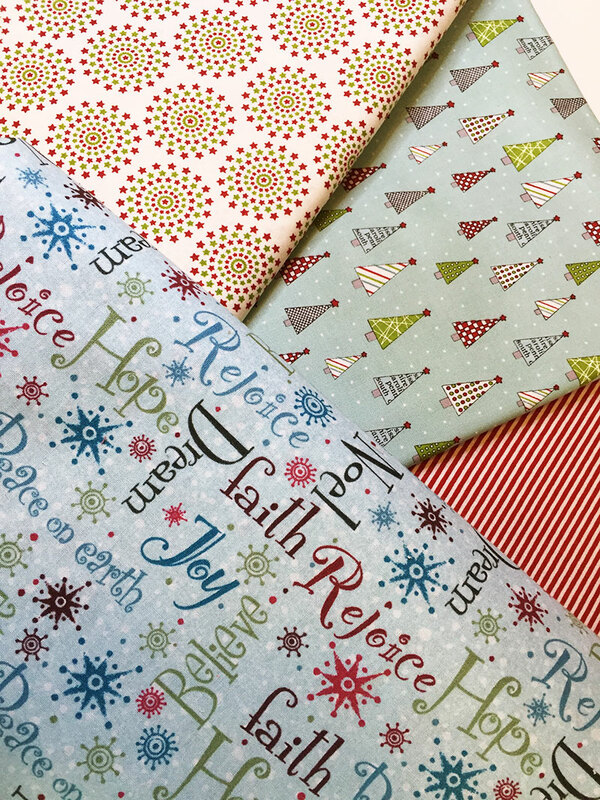 And would LOVE to see the pictures of your fabric choices! Post them on Instagram using #SWLAdventCalendarSAL.